The federal trial over Kansas voter registration law produced some interesting moments in the Kansas City, Kansas, courthouse. Some of the most striking moments came when Kobach and his legal team crossed swords multiple times with a judge who regularly called them out for appearing unprepared or naive to the rules of litigation, despite having so much on the line. For an explainer of the lawsuit and the Kansas voter registration law, go here. Here are some moments from the trial and Kobach’s contempt hearing that stood out. 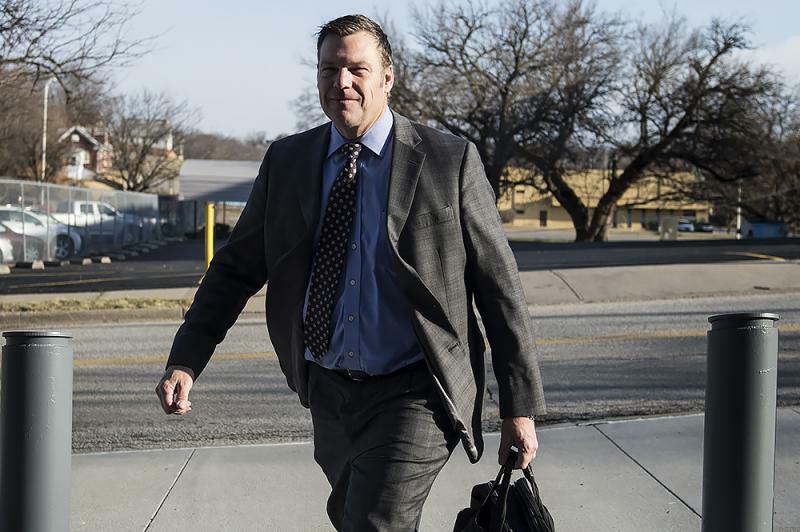 On the stand, a key Kobach expert didn’t have the secretary’s back on claims of massive voter fraud in the 2016 presidential election. Kobach has supported President Donald Trump’s claims that millions of illegal ballots cost him the popular vote to Hillary Clinton, leaning on Old Dominion professor Jesse Richman’s research to argue the point. But during cross-examination, Richman said his work doesn’t point to that level of fraud, and he doesn’t know of studies by other people that do. Responses on Twitter were fast and furious. “Should have asked about Alito,” one person said. Samuel Alito is a U.S. Supreme Court justice. “Judge Curiel approves,” wrote another. That referred to U.S. District Judge Gonzalo Curiel, who Trump repeatedly said was unqualified to preside over a class-action lawsuit (later settled) regarding Trump University because he is “Mexican.” The judge was born in Indiana. Kobach risks being held in contempt. The reason? He was supposed to unblock tens of thousands of voter applications and treat those voters like everyone else while the lawsuit proceeds. He says he did. Nevertheless, Judge Julie Robinson sounded livid when his head of elections conceded during an intense cross-examination that he hadn’t known if those tens of thousands of people had a right to receive postcard notices telling them where their polling places are. So not all voters, it turned out, received those. Kobach took steps to rectify that after the trial and contempt hearing. Day after day, the judge berated the secretary of state for for trying to introduce evidence without first providing it to the plaintiffs. “Evidence 101” she said at one point, and repeatedly asked Kobach’s team to learn the rules. They struggled to follow other courtroom procedures, too. 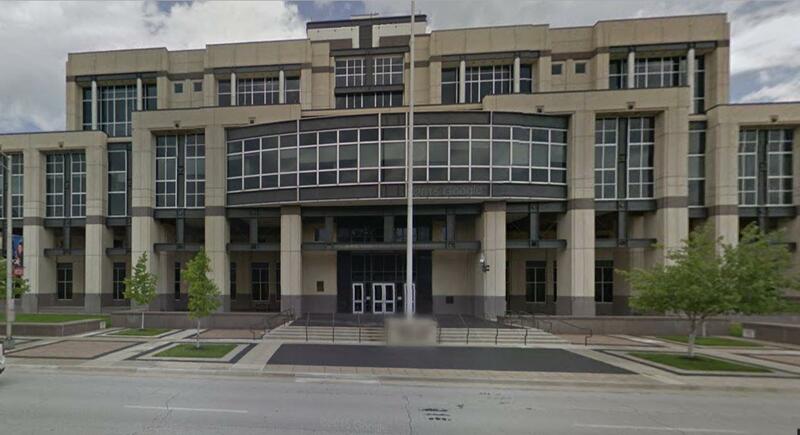 They denied to the judge at one point that they were using a Google email account for lawsuit-related work (they were). And they slowed the proceedings by searching for documents and fumbling through cross-examinations. The scoldings culminated at Kobach’s contempt hearing. “You are under an ethical obligation to tell me the truth,” Robinson told Kobach. The next wave of voter regulation laws? A 40-minute video of Kobach enduring a pre-trial grilling by the ACLU showed an at times visibly uncomfortable Kobach talking about meeting with Trump’s transition team after the 2016 election. Kobach wanted Trump and Congress to tweak provisions of federal law that the ACLU is relying on to sue him. In the video, he repeatedly says that was a contingency plan, one he didn’t intend to pursue unless he lost his trial. The ACLU team presses him with his own written communications from the time, which they say prove otherwise. 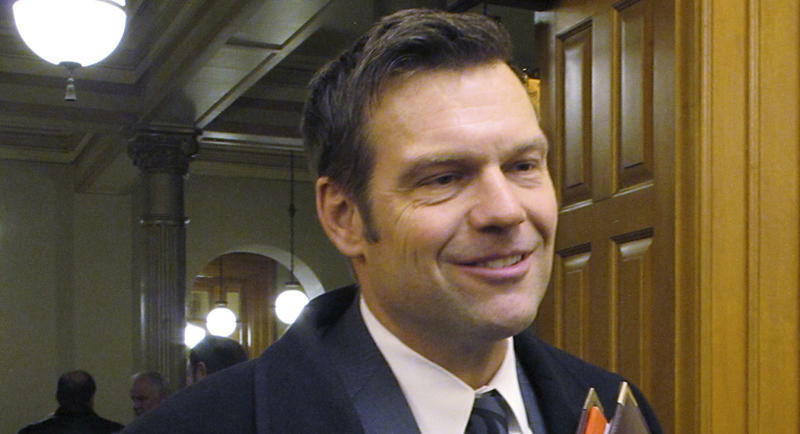 The video also showed Kobach wanted help from Washington to nudge more states toward voter registration laws like the one he got Kansas to adopt. Arizona is the only other state that requires would-be voters to show documents proving they’re Americans. Two other states aren’t carrying the requirement out despite having it on the books. In 2017, a judge fined Kobach $1,000 for misleading Robinson about the contents of the written agenda he took to Trump, which he wanted excluded from the trial. Federal Chief District Judge Julie Robinson, a George W. Bush appointee, accused Kobach of engaging in “gamesmanship” and skirting her orders. How far must people go to prove they’re really Americans when they register to vote? Does simply swearing to the fact — at risk of perjury, prison, fines and deportation — protect democracy from non-Americans subverting an election? Or are cheaters common enough that only documents — say a birth certificate or a passport — go far enough to protect the integrity of the ballot box?